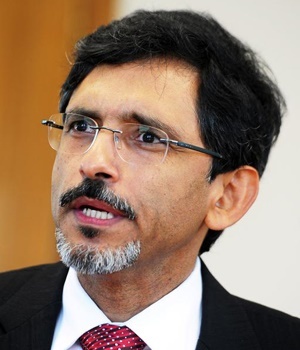 Cape Town - Minister of Economic Development Ebrahim Patel gave Gupta-linked company Oakbay Resources until midnight on Thursday to pay back R293m to the Industrial Development Corporation (IDC). In a written reply to a Parliamentary question, Patel said that the IDC has R293m worth of equity in the firm. This stems from an earlier loan it gave to the group before it listed on the JSE in 2014. After the listing the loan was converted into stock. Patel said that, following media reports earlier in the year that Oakbay and “persons and entities associated with it, engaged in unlawful manipulation of [its] share price” he launched an investigation. “Following that revelation I requested the IDC to advise on the accuracy of the claims, the remedies available to the IDC in the event of those allegations being true, and to identify steps to be taken to address the issue,” he wrote. "In July, the IDC board appointed a legal team to advise it, led by Advocate Geoff Budlender SC, a respected member of the Cape Bar. Following an investigation by the legal team, and advice received from them, the IDC has now rescinded, alternatively cancelled, the Restructuring Agreement between itself, Oakbay Resources and other entities in the Oakbay Group," he said. "The IDC asserts that various misrepresentations and breaches of warranties were committed by the Oakbay Group. The IDC has tendered the return of its shares in Oakbay Resources, and has demanded repayment of the outstanding capital and interest due to it, totaling approximately R293 million,” said Patel. “As the legal process has now commenced, it would be inappropriate to engage in a detailed discussion of the matter,” he added. Oakbay did not immediately reply to a request for comment.